As the limited processing power and energy of mobile terminals, the QoS of delay-sensitive service cannot be guaranteed. This paper proposes an SDN-based task caching and offloading strategy (SD-TCO) by mobile edge computing technology. The strategy mainly includes two algorithms: SDN-based mobile edge computing network (SD-MEN) task caching algorithm and branch-bounding algorithm based on greedy strategy. The SD-MEN task caching algorithm is used to increase the cache hit ratio by saving the frequently called task results on the edge server, and the branch-bounding algorithm based on greedy strategy is used to offload the task reasonably, which can ensure the QoS of users and minimize energy consumption. Simulation results show that SD-TCO has achieved effective improvement in stable delay and energy consumption. 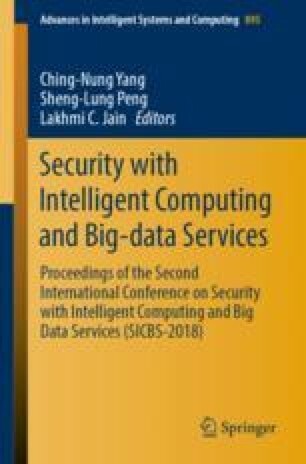 This work was supported by State Grid Technology Project ‘Edge Computing Research in Smart Grid Application and Security’ (Grant: 52110118001H, Contract No: 52110418001B).